Zebra - EP Technology Inc.
Zebra’s 105SLPlus provides economical, dependable, high-performance printing. This rugged printer is built for continuous operation, with exactly the features needed for fast, reliable and cost-effective printing in your manufacturing and warehousing environments. The Zebra 105SL combines enhanced memory, processing capacity, and features with rugged and reliable all-metal construction. Proven platform longevity plus fast processing and print speed make it the choice of experienced users who value reliability, productivity, consistent print quality, network compatibility, and superior service and support. The industrial-strength 170Xi4 with 203- or 300-dpi (8 or 12 dots per mm) print resolution can print large volumes of labels, promoting greater productivity with fewer roll changes. 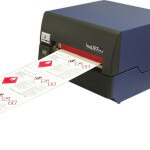 Or it can execute intricate, high-resolution print applications at a quick 8” (203 mm) per second. Designed to produce large labels up to 8.5” (216 mm) wide at 10” (254 mm) per second at 203 dpi and 6″ per second at 300 dpi (152 mm) resolution, the 220Xi4 is ideal for industrial applications. 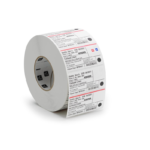 Zebra’s selection of label and tag materials meets the requirements of most applications and budgets. Quickly and easily print receipts and other 2-inch-wide documents on demand with the ultra-small Zebra EM220 mobile printer. 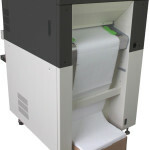 Zebra’s G-Series compact desktop printers for print widths up to 4 inches deliver best-in-class speed and performance. From the basic GK™ model to the feature-rich GX™ model, the G-Series printers are reliable, durable, and flexible to fit almost any low- to mid-volume printing application and budget. Zebra’s feature-rich, competitively priced GC420TM desktop printer brings Zebra quality, durability and reliable performance to many low- to medium-volume, direct thermal and thermal transfer printing applications.